Beautiful Celia Model located in Sienna Villas at Grand Island Estates. This is the only gated island community that has it's own private club house and pool. 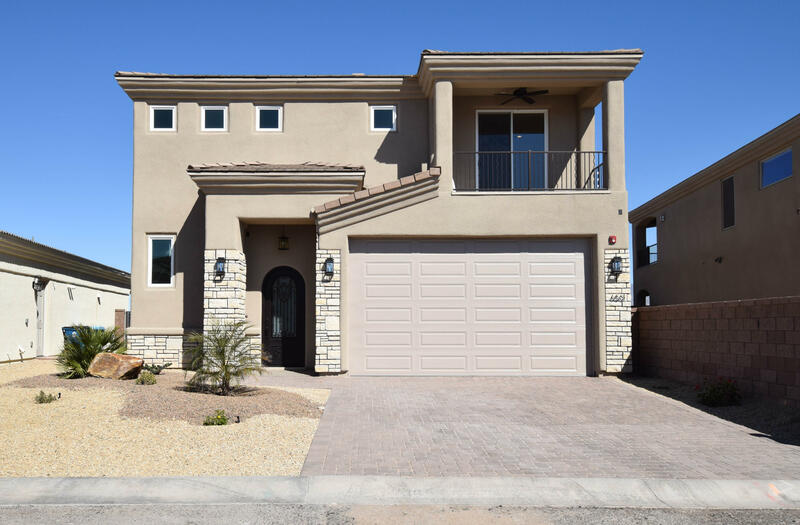 The home features designer finishes, three master suites with en suite baths, walk in tile showers and one 1/2 bath. The gourmet kitchen features slab granite counter tops, custom cabinets and stainless steel appliances. Beautiful tile floors throughout, cozy carpet in bedrooms only. Amazing views from deck, large back yard with room for a pool and a huge 50 foot deep garage. Don't let this one pass you by! If you are working with an agent, please have your agent accompany you on your first visit to the development. Directions: Cross bridge to the island, right on the second Grand Island Drive, home is at the end on the left.